Today’s smartphones provide a level of social connection far beyond what we imagined just a few years ago. But when you go beyond the reach of the grid, your smartphone needs the help of SPOT Connect to keep you in touch with friends, family, and emergency personnel. Simply pair your smartphone with SPOT Connect, and get connected to a global satellite network that lets you send messages and GPS coordinates from virtually anywhere on the planet: update Twitter and Facebook, send email and text messages, request non-emergency help from professional service providers and more! And in the case of a critical emergency, send an SOS message requesting emergency assistance. 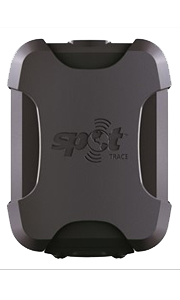 Be the first to review “SPOT Connect Satellite GPS Messenger” Click here to cancel reply.